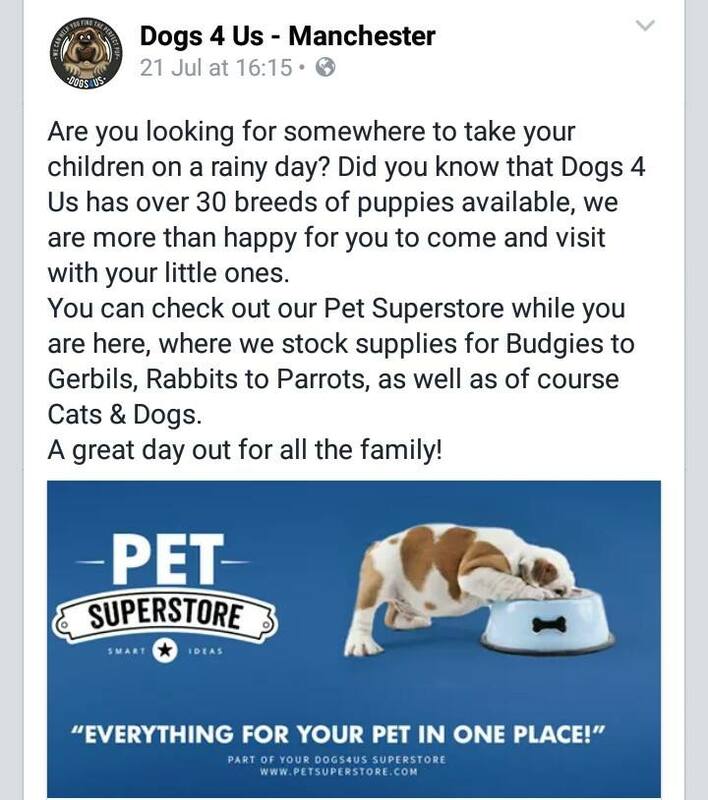 Facebook posts on the Dogs4Us Manchester and the Dogs4Us Leeds page encourage parents who are not looking to purchase a puppy to bring their children to their store. They are also running the ad on local Leeds radio station, Radio Aire. The only possible commercial reason for such an enticement is to encourage impulse purchases of puppies. ‘Pester power’ leads parents to make spur of the moment decisions. Many puppies are bought for the summer holidays only to be put up for sale/re-homing once the school term starts. Dogs continue to be put to sleep due to a lack of good homes. If you have space in your life for a dog, please visit a rescue centre. Adopt, don’t shop. Thank you to The fight against puppy farms starts here and Puppy Love Campaigns for bringing this to our attention.